From abused companion animals to victims of factory farms, the black-market exotic pet trade and circuses, many of the nation's animals are not treated well. On the bright side, more than 20,000 U.S.-based nonprofits that help animals are listed in nonprofit databases such as GuideStar. Some of these nonprofits work worldwide while others work locally, most welcome volunteers and many run sanctuaries that provide tours. The Lost Dog and Cat Rescue Foundation helps about 2,000 dogs and cats monthly find their ways to loving homes. LDCRF defines "lost" dogs and cats as: "1. Unable to find the way. 2. Not appreciated or understood. 3. No longer owned or known." This not-for-profit based in Arlington, Virginia, brings dogs and cats from overcrowded shelters and other high-risk situations to a 61-acre sanctuary. Before adoption, each animal is neutered or spayed and fully vaccinated. Hope for Paws consists of a worldwide network of animal rescuers connected through the social media pages of Audrey and Eldad Hagar. The couple rescues animals -- mostly dogs -- from the streets, shelters and deserts of Southern California, which are fostered in the Hagar's. L.A. home. Hope for Paws' priority is rescuing animals in grave danger. The Factory Farming Awareness Coalition strives to teach consumers to make meal choices that help public health, the environment and animals. It reaches out through emails, presentations and advertising; its social-media campaign won free advertising on San Francisco's BART where its ads asked, "What if you could help stop climate change by changing your diet just once a week?” The FFAC provides resources on its sites, including recipes for Meatless Mondays -- the campaign created by John Hopkins Bloomberg School of Public Health’s Center for a Livable Future. Volunteers are needed to help with emails and presentations. Ohio's Happy Trails Farm Animal Sanctuary rescues, rehabilitates and finds caring homes for abused farm animals from various states. Book a tour or volunteer. Woodstock Farm Animal Sanctuary in New York's Catskills rescues and cares for factory farm refugees where it provides tours on its vegan farm. Volunteers and interns are welcome. Many nonprofits focus on horses, including foals headed for slaughter as "byproducts" of nurse mares in the race-horse industry. Dream Equine Therapy Center at Dream Farm in York, South Carolina, rescues race-industry foals, provides low-cost horse-care education, adopts out some foals and raises others for its horse-therapy program that helps the chronically and terminally ill.
Providing refuge for hundreds of wild horses and burros, Freedom American Wild Horse Preservation and Sanctuary on California's central coast hosts kids programs, numerous visitor opportunities and a resident-volunteer program. It also preserves rare breeds, advocates alternatives to roundups, teaches horse gentling and hosts a foster-care program for human-friendly horses. Defenders of Wildlife and the World Wildlife Fund, both headquartered in Washington, D.C., advocate for wildlife. DFW advocates for the protection and restoration of America's native wildlife and the Endangered Species Act, and works to resolve human-wildlife conflicts -- such as those between ranchers and wolves -- in the West, the Great Plains and Florida. Wildlife Volunteer Corps welcomes applications. The WWF works at local and global levels "to conserve nature and reduce the most pressing threats to the diversity of life on Earth" and to "build a future in which people live in harmony with nature," according to its website. WWF also hosts Panda Nation, which gives you a personal web page to raise funds for your favorite WWF cause or animal. 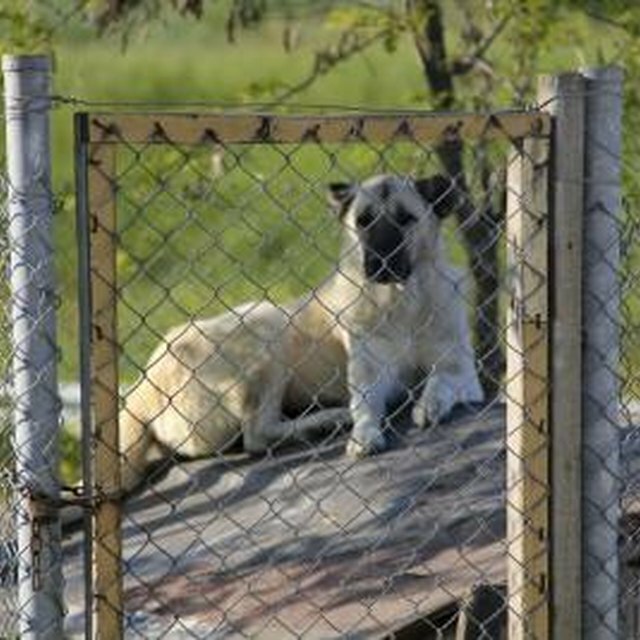 The Humane Society of the United States -- not to be confused with local humane societies -- is the country's largest animal-protection organization. Tens of thousands of animals are rescued and cared for every year at the nonprofit's five centers -- two for horses, three for wildlife and two for multiple species. The HSUS advocates for animals through education, the judicial and legislative systems, science and investigation. Various volunteer opportunities are available, from serving on a rescue-and-response team to helping at a wildlife center. View free-roaming animals from atop the Mile Into the Wild Walkway at the Wild Animal Sanctuary near Denver where almost 300 large predators live in wide-ranging habitats. Smaller animals also get help here. Many of the nonprofits residents were rescued from abuse, neglect and illegal exotic-animal trade. Volunteers are welcome. Best Friends Animal Society's sanctuary in Utah's red-rock county sits on 20,000 acres that include pastures and "villages" for its horses, pigs, cats, dogs and other animals. Vacation here in your RV or rent a cabin. Hold a sleepover with an adoptable animal or do other volunteer work. Best Friends also helps animals in other states through its spay/neuter clinics and adoption center in Los Angeles.